Your style is super awesome! I love the one with Shredder and his lackeys at McDonald's lol really good stuff. Brilliant work, thanks for sharing! Nice to be reminded of one of the reasons I loved the OT turtles when I was a kid...the comedic relationship between Shredder, Krang, B&R. Shame people want "serious" nowadays, kids...kids like stupid silly funny stuff! Very good though, very clever and very well executed. 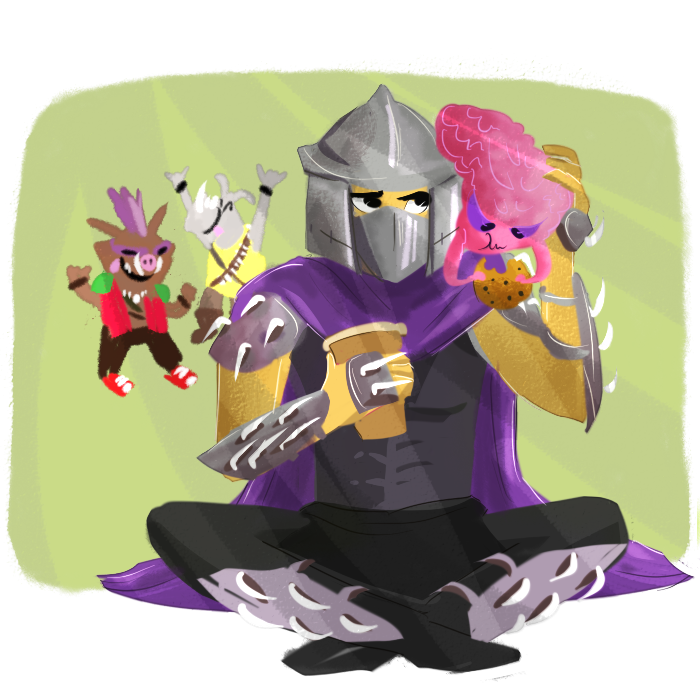 Love this "Downtime, with Shredder and Krang" series. Your art is adorable! I really like the McDonald's one. argh damn work/life getting in the way of turtley goodness! well i managed to poop something out tonight. 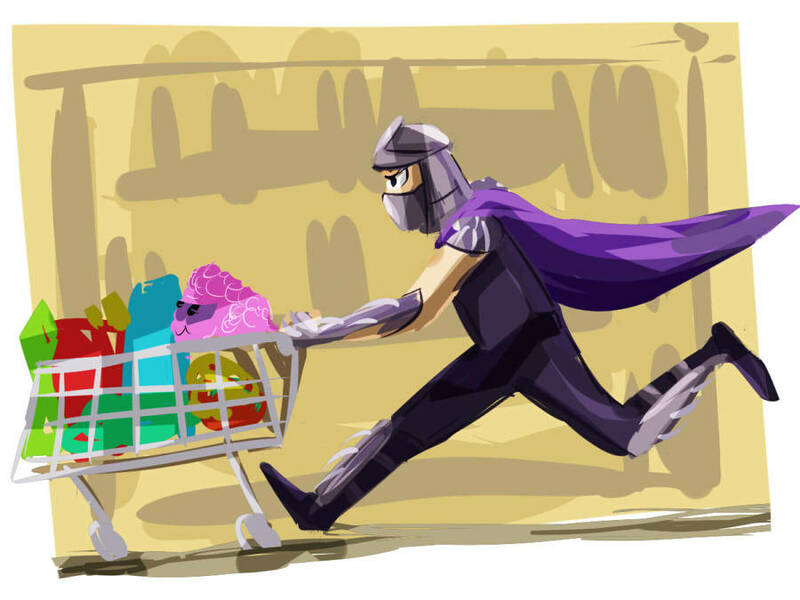 Shredder and krang continue their grocery shop...i imagine ninja skills come in useful when tryin to grab the bargains? 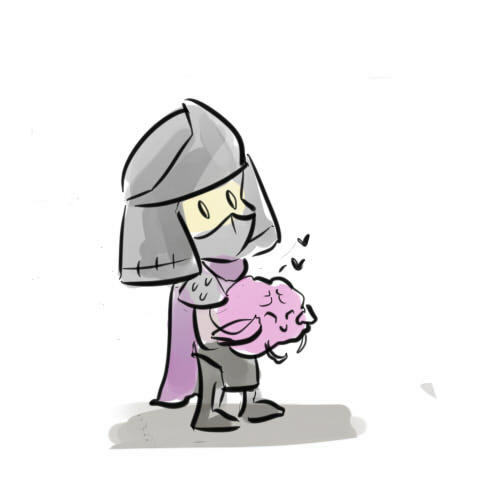 I wish I could see Shredder and Krang hanging out together at my local bus-stop or grocery store! Omigosh, these are so adorable!! would make for a more interesting take on a dull day out! haha yeah that's what i like to imagine! aww what a cute idea, though i think you'd do it better justice. I may attempt it some time! heh as Shredder says; always one step ahead of me, aren't you, Krang? 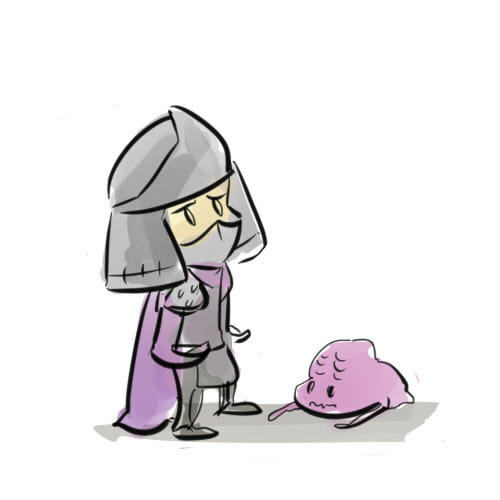 Krang: yes, and that's not easy for someone with no feet! well i managed to poop something out tonight. Shredder and krang continue their grocery shop...i imagine ninja skills come in useful when trying to grab the bargains? I can also see Shredder jumping into the cart once it gathers enough speed. That new comic is totes adorable! 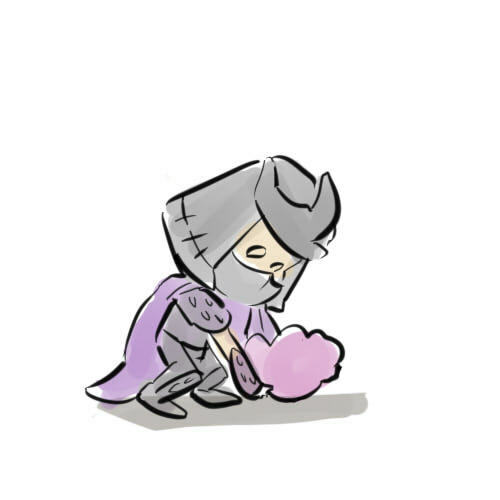 I love the idea of Shredder carting about a bunch of naughty kids. I recognise the distant look and tiredness that all parents have at supermarkets. Really nicely done. Well trusting Bebop and Rocksteady with their groceries would be a grave mistake as they probably only would bring back comics lol. 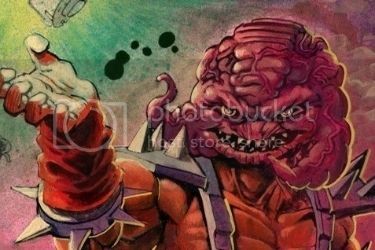 So Papa Shredder and the nagging Mom Krang have to go shopping instead I would have loved something like this happened in the old cartoon.